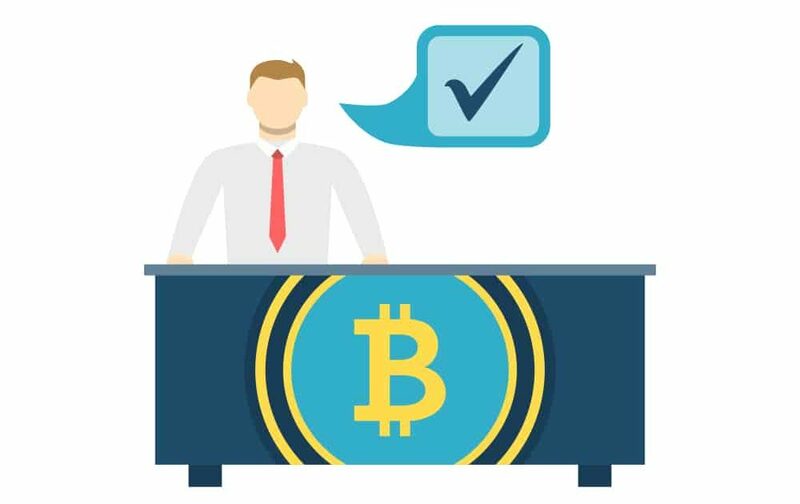 Over The Counter (OTC) desks have emerged as a crucial element of the crypto trading environment in recent years. Back in April 2018, it was reported that over $100m per day was being moved via OTC – a sure indication that OTC crypto trading was emerging as a driving force behind mass adoption and price stability. OTC desks give institutional and sophisticated investors the ability to make large trades without having to access an exchange. Of course, this is a function traditional finance markets have relied on for many years, particularly those such as interest rate products and foreign exchange derivatives. So it should be no surprise to see some of the biggest crypto exchanges announce new OTC desk capabilities to cope with increasing demand from institutional investors. Coinbase opened its OTC desk in November, with the company’s Head of Sales, Christine Sandler, explaining institutional investors see OTC as the best way to start their crypto trading. Poloniex made a similar announcement in December, and Binance recently announced its investment in a US-based OTC specialist. Meanwhile, an increasing number of OTC desks are offering electronic connectivity. Traders now have streaming quotes coming in, and they’re able to assess liquidity at the touch of a button. OTCs empower crypto traders to use their capital more flexibly and efficiently. While traders that use exchanges have to pre-fund their trades with crypto or fiat, most major OTC desks now free them from any funds-up-front restrictions. Traders can decide whether or not to deal with the OTC desk, then subsequently transfer the money. OTC desks provide welcome fixed prices by trading off-exchange – ensuring insulation and security from wild market fluctuations. In effect, their role is to find a natural buyer and seller – simplifying the environment for a trader with a bespoke service. In the process, they often offer more competitive deals. In crypto markets that trade so many different coins, and suffer from general illiquidity, this has emerged as a crucial service for traders. For those looking to trade large amounts of a single coin, OTC desks have become a natural first stop. The relative anonymity OTC desks offer can be the icing on the cake for many buyers and sellers. On exchanges, the entire world sees what you’re doing. By trading with an OTC desk, you might leak some information to the market, but not to the same extent as operating through an exchange. It’s clear that OTC crypto trading will continue to power mass adoption and price stability this year. However, their role is inevitably going to evolve alongside the crypto environment. At the moment there are many hundreds of exchanges, with no single exchange offering extensive liquidity – OTC desks are essential in this fragmented environment. That said, consolidation is on the horizon. Market forces will see many exchanges fall away. Many more will lose their licenses as regulations are introduced. This means liquidity in crypto markets will increase, even if trading volumes don’t. There will also be a consolidation of coins too, which will increase the concentration of buyers and sellers for each coin. On the face of it, this consolidation seems to indicate that OTC desks will become less important and that their market share will drop as the competitive advantages they offer over illiquid markets are squeezed. Institutional investors may make the most of the resulting competition, using the latest generation of crypto trading and risk management platforms, to find the best prices. Even the funding flexibility offered by OTC desks is set to become less important as innovative crypto players like Silvergate Bank are moving towards a model that lets traders deal on exchanges then settle up with crypto or fiat afterwards. Nevertheless, it would be a mistake to discount the importance of OTC desks. We only have to look to traditional markets such as equities to witness the pivotal role OTC desks continue to play. Markets for asset classes such as debt and credit, which have blocks of many different types of bonds, still have a significant need for OTC brokers. As real-world assets become tokenized over the coming years, crypto markets will increasingly resemble fixed-credit and multi-security markets. In markets such as these, traders need brokers that go out and find counterparties for them. Crypto traders will inevitably look to OTC desks to fulfill that role. Meanwhile, the relative anonymity that OTC desks offer will continue to be of value. The crypto trading environment still has a lot of evolving to do. The long-awaited liquidity of markets is one of the big changes on the horizon, and, so is the tokenization of assets. Which means this is far from the end for OTC desks. They will have a central role in this ecosystem for many years to come. Gerrit is the CTO and Co-Founder of Caspian and has been a Managing Director at TORA for the past 12 years. At TORA, he built a software platform which is at the heart of equity trading for hedge funds around the world. In our conversation, we discuss the genesis bringing crypto into the TORA universe, Gerrit’s passion project of building crypto-trading bots in the early days of the industry, and potential trading strategies in the current crypto landscape. The Co-Founder and CTO at Caspian. Gerrit has 20 years of experience in IT, including over 12 years experience building and leading technology teams and delivering cutting edge financial products.